From Facebook's headquarters in Menlo Park on Monday, CEO Mark Zuckerberg's cartoon avatar announced an effort to help Puerto Rico. And on Tuesday, he apologized for what some considered a tone deaf way to deliver a message of humanitarian aid. Through his avatar, Zuckerberg said the company is using artificial intelligence to build population maps as part of an effort with the Red Cross. He said it's possible to look at satellite imagery of an area to understand where people live and how infrastructure is working within those communities. The announcement itself was not unusual -- Facebook (FB) has already donated money and resources to help with connectivity and humanitarian efforts in Puerto Rico following Hurricane Maria. 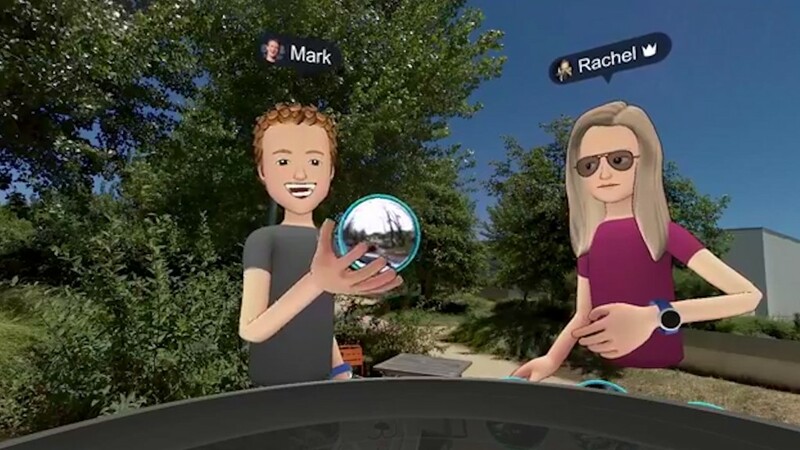 But some people criticized the way Zuckerberg used the virtual reality app, called Facebook Spaces, to deliver the message. "My goal here was to show how VR can raise awareness and help us see what's happening in different parts of the world," Zuckerberg said in a comment on his Facebook page on Tuesday. "I also wanted to share the news of our partnership with the Red Cross to help with the recovery. Reading some of the comments, I realize this wasn't clear, and I'm sorry to anyone this offended." Spaces is a social app for the Oculus Rift virtual reality headset that is designed to help you feel immersed in different scenarios. Facebook launched the app in April. Zuckerberg and Facebook's head of social VR, Rachel Franklin, virtually "teleported" to Puerto Rico by using a 360 video shot by NPR. "We're on a bridge here, it's flooded, and you can get a sense of some of the damage here that the hurricanes have done," Zuckerberg said as flood waters in Puerto Rico ran past behind the cartoon duo. "One of the things that's magical about virtual reality is you can get the feeling that you're really in a place." After announcing the new Red Cross and Puerto Rico initiative, Zuckerberg transported back to California -- to last year's Oculus Connect, the event for developers of Oculus games and apps. This year's Oculus Connect takes place on Wednesday and Thursday in San Jose, California.